With staff away, weather, other commitments and festivities taking up much of the remaining time in 2015, coverage was limited. However, the Northern Harrier was seen on the 23rd and 26th. A selection of wildfowl are ever present with counts of 80 Wigeon, 40 Teal, a Gadwall, a couple Shelduck on Gretchen Loch, and half-a-dozen Long-tailed ducks in Nouster counted on the 29th. A small volume of hardy passerines were still around with a flock of 30 Twite, a Common Redpoll and a Redwing all seen around the Observatory area on Christmas Day. Nothing to report from the 29th but a look around the south eastern, sheltered coasts on 30th was relatively productive given the time of year - despite the rather violent hail showers! 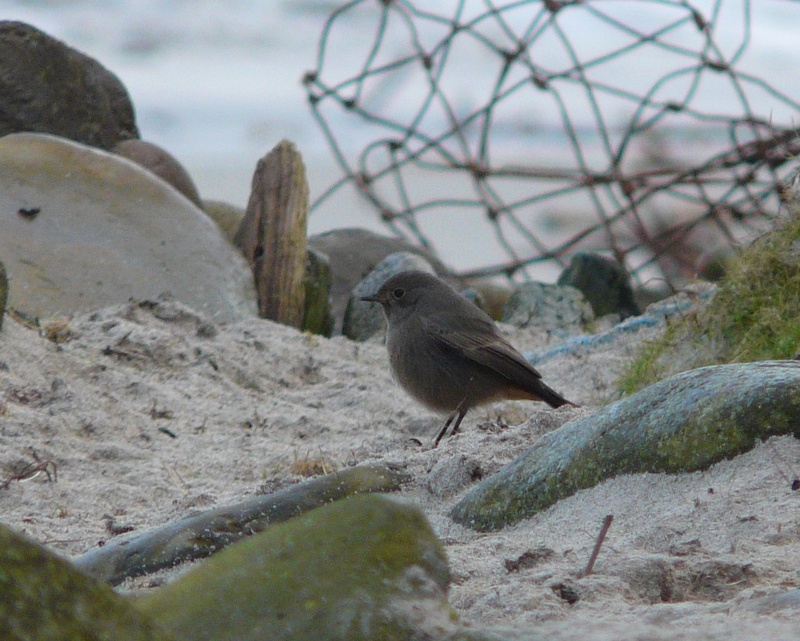 The male Northern Harrier was seen around Hooking Loch and nearby a late Black Redstart showed well on the beach at Haskie was unexpected. A Little Auk flew past Bridesness with the American x Eurasian Wigeon hybrid there among the wildfowl and 4 Snow Buntings were at Kirbest.